NASA's Mars Opportunity rover has had quite a ride. But after 15 years on the Martian surface, the rover has officially been declared dead. NASA's Mars Opportunity rover had quite the ride. But after 15 years on the Martian surface, the rover has officially been declared dead by NASA. 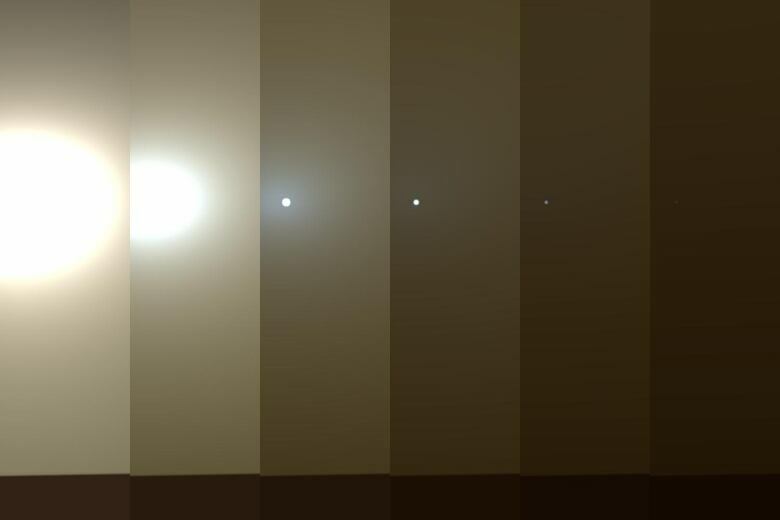 Opportunity was last heard from on June 10, 2018, after a planet-wide dust storm engulfed Mars. Unable to get enough sunlight to charge its solar arrays, Opportunity went silent. Engineers had been attempting to communicate with it since August, when the skies had cleared enough. The final commands were sent Tuesday night. "I learned this morning that we had not heard back. And our beloved Opportunity remains silent," Thomas Zurbuchen, associate administrator of the Science Mission Directorate, told a news conference Wednesday afternoon. "It is therefore that I'm standing here with a sense of deep appreciation and gratitude to declare the Opportunity mission as complete, and with it, the Mars Exploration Rover mission as complete." Though difficult for those who worked on Opportunity — some for all 15 years or longer — the mission was declared a huge success. "We were meant to get to this point: To wear these rovers out, to leave behind no unutilized capabilities on the surface of Mars," said John Callas, MER project manager. "We had no idea it would take this long. But even still, this is a hard day ... Even though it's a machine, it's still very hard and very poignant." 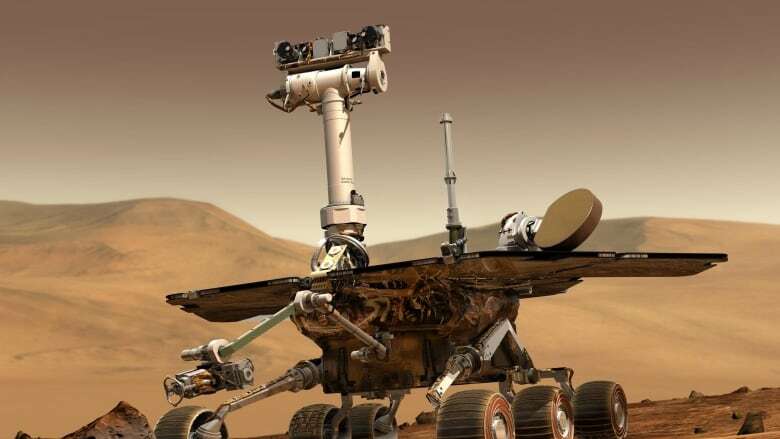 After Opportunity went silent in June, NASA announced in September that the team would start a 45-day period of "active listening," which involved sending daily signals to the rover. After that period, they were planning to go into a "passive listening" mode, where they would stop sending signals and just monitor the rover's signals to see if it was calling home. When Spirit had faced a similar fate in the past, the winds on Mars had cleared the solar panels. And so some argued that Opportunity — affectionately known as "Oppy" by some — wasn't being given the same chance. The windy season on the planet was a few months away, and Spirit had been given a longer time frame. Following a Twitter campaign using the hashtag #SaveOppy, NASA announced on Oct. 29, 2018, that it would continue its active listening phase. But as of Wednesday, more than 1,000 recovery commands had been sent to Opportunity — with no reply. While both Spirit and Opportunity had expected to last just 90 sols, or Martian days, they far outlived expectations. (One sol is about 40 minutes longer than one day on Earth.) But the going hasn't always been easy. The pair have had their share of incidents. Both rovers have been stuck in multiple sand traps. Two weeks into its mission, Spirit had a computer malfunction. And in the years before its demise, it had been forced to drive backward, when a wheel stopped working in 2006. For Spirit, the official time of death was declared on June 8, 2011, after the rover had travelled 7.7 kilometres across the Red Planet. The MER mission yielded scientists with a wealth of information, shedding light on the history of Mars. One of the most significant findings by the twins has been evidence that suggests Mars was once a very wet world and potentially habitable. "Spirit and Opportunity may be gone, but they leave us a legacy — and that's a legacy of a new paradigm for solar system exploration," Michael Watkins, the director of NASA's Jet Propulsion Laboratory, said Wednesday. That paradigm is having a robotic rover that not only takes images of a planet, but one that can also function as a planetary geologist, with the ability to drill, take samples and more. NASA is already working on the next mission to the Red Planet: Mars 2020 is on track to launch in July 2020. Like its counterparts, that rover will be fitted with various instruments. However, its primary goal will be to determine whether life ever existed on Mars. It will also collect samples for a future sample-return mission NASA hopes to launch.